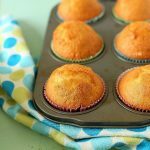 This recipe for 30 Minutes Fairy cakes is really easy to bake with children. This measurement for Fairy Cakes makes exactly 6 of them . Not any more or less.